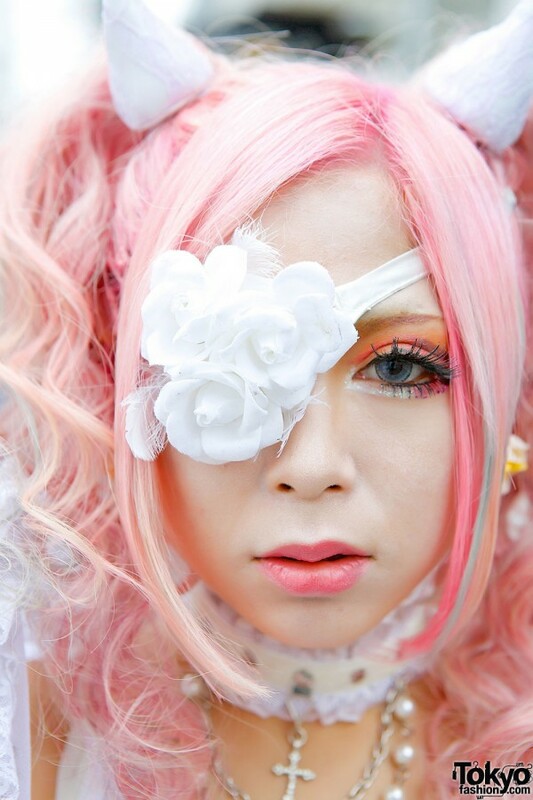 Japanese model Rumanjyu stunned us in Harajuku with her pink hair, devil horns and a floral eye-patch. 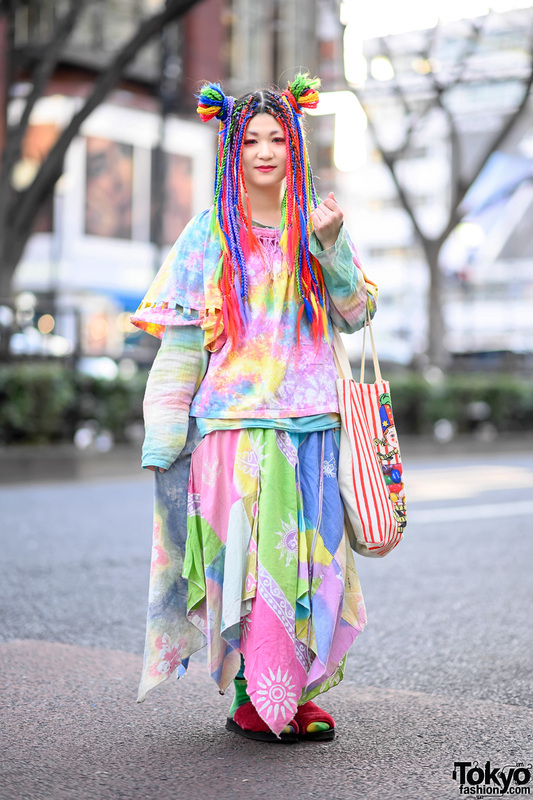 You might remember her from our previous Harajuku street snaps, where her look was also amazing. Rumanjyu bought her white dress from London, while her wrap is from h. NAOTO. 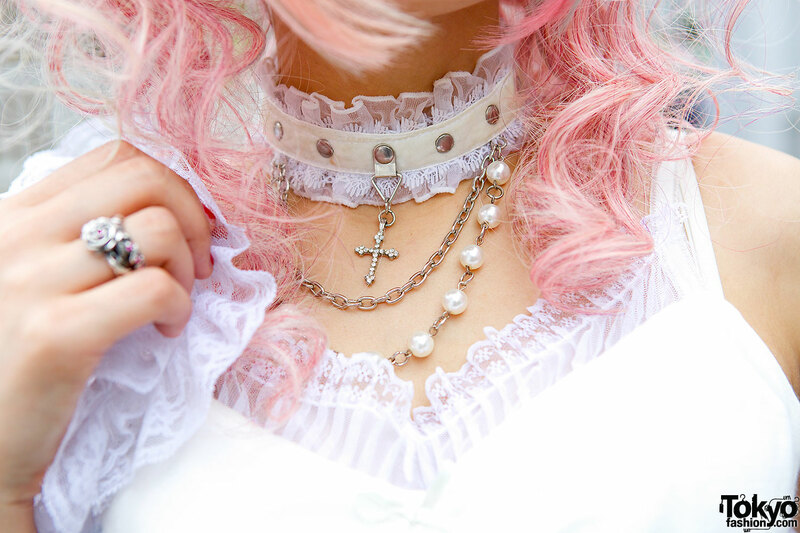 She is also wearing digital print tights, platform heels from Atelier Boz, flower earrings and ring, and a h. NAOTO cross choker. 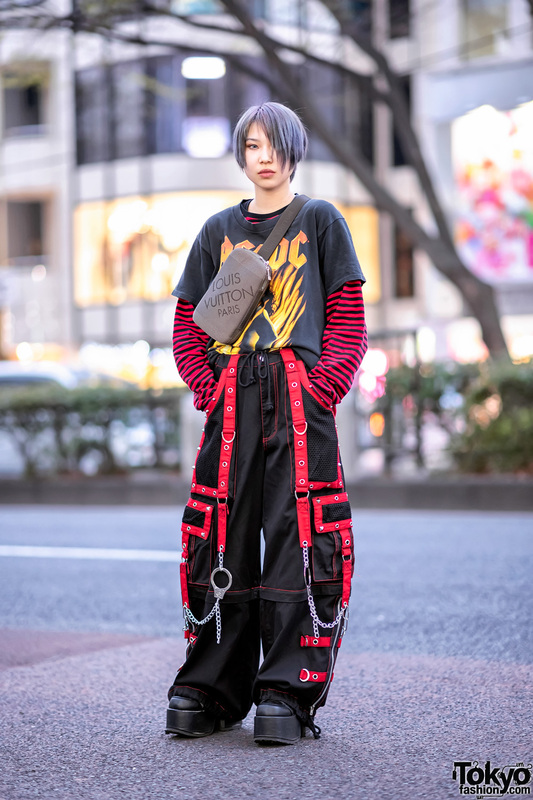 Rumanjyu’s favorite place to shop is Justin, and her favorite music is the visual kei band, D. She also gave us a link to her blog, in case you want to keep in touch. OwO!!! 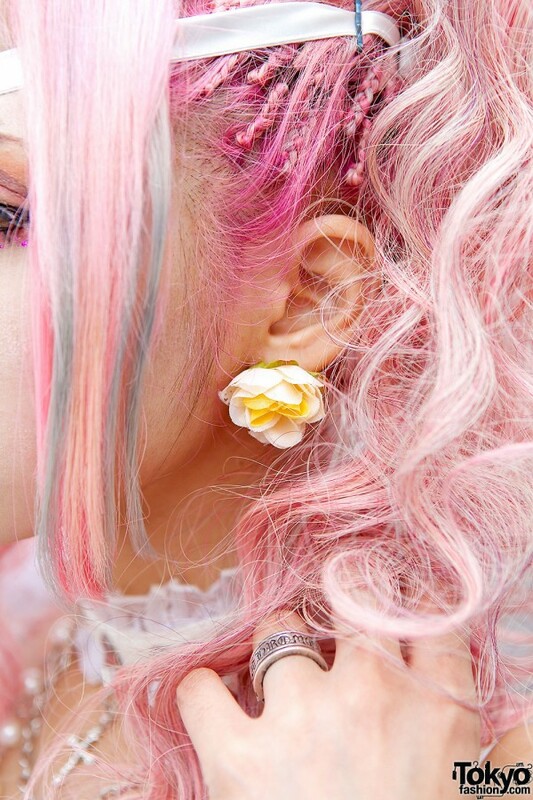 Awww… She´s soooo Beautifull and this style… °.°… Just wonderfull and amazing! 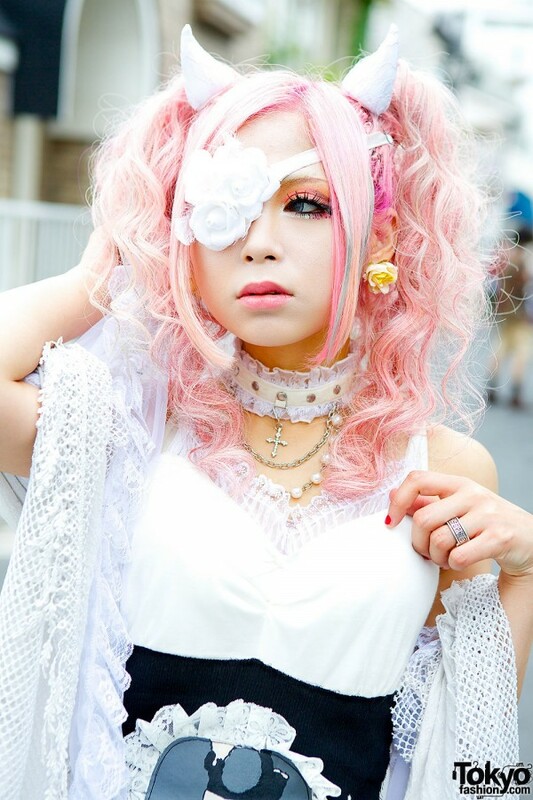 omfg I love her chrome hearts ring, bjd tights, and her john wayne gacy corset. Her tights are so fantastic!!!!!!! She’s so stunning *-* I love EVERYTHING of this outfit, including the hair and beautiful make-up!